Today, I am sick with the flu. Gross. I watched T.V. 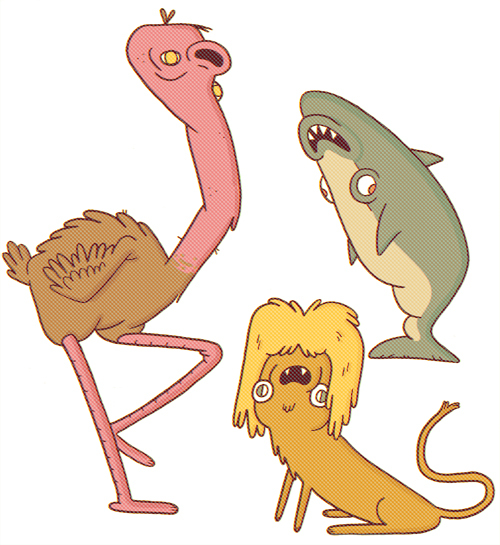 all day and drew these silly zoo animals. I think Wayne's World inspired the lion's hair. I sorta wanna make comics about these guys.